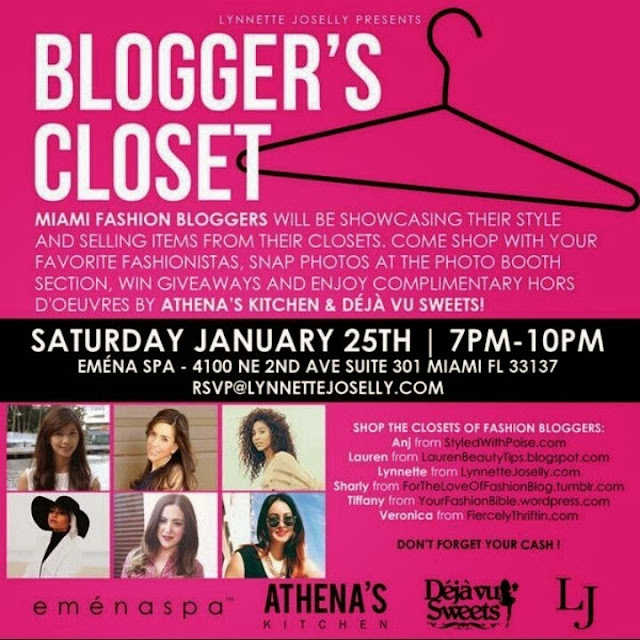 Shop with us tomorrow January 25 at Emena Spa in Miami Design District. I will be selling accessories, clothes and shoes for very great deals straight from my closet. Dont forget to RSVP and bring cash ladies.